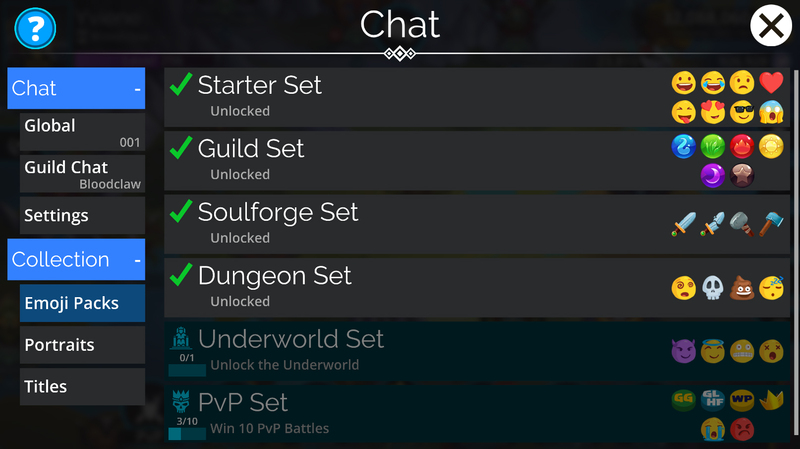 Some other basic emojis can be unlocked through simple tasks like playing PvP, or joining a Guild. Where applicable, these are also awarded retrospectively. 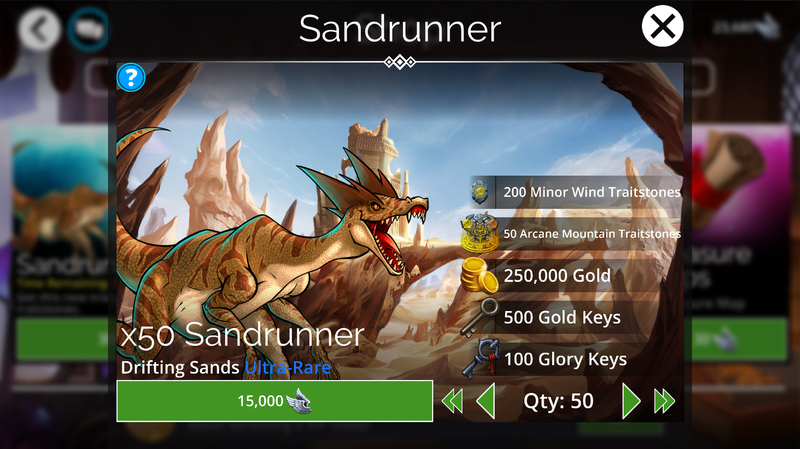 Past Event collectibles (if you didn’t get them from their event) will become available to purchase in the Chat Menu for a small Gem Cost – usually 2-3 months after the event. Any Honor you receive will be displayed when you next collect a tribute. 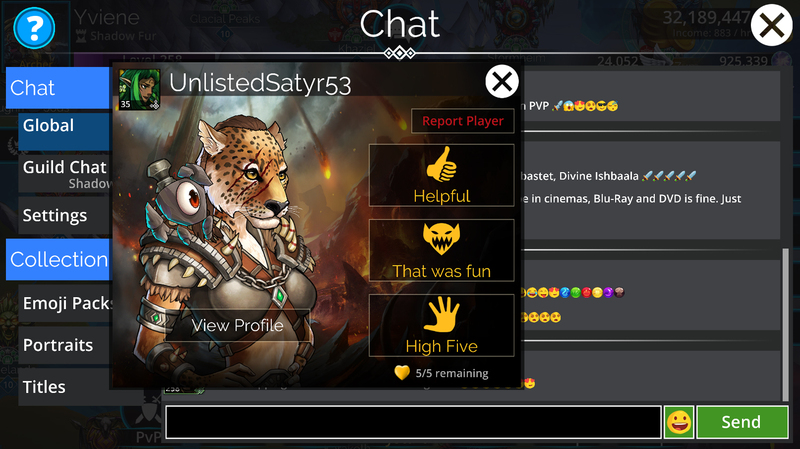 Respected, Honorable and Exemplary have multiple tiers within their rank that players will have to ascend through in order to reach the next rank. Note that we have opted NOT to display earned Honor as a progress bar, as this system represents something that we want people doing for “right” reasons, not simply another stat to min-max and cap out. 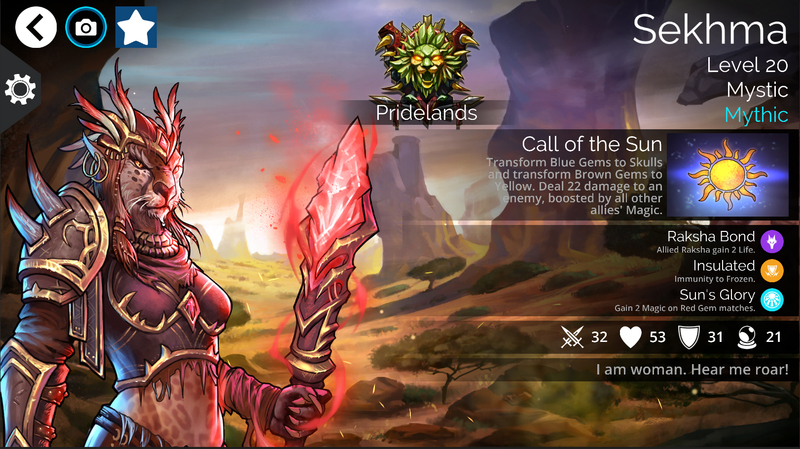 Achieving some higher Honor ranks for the first time will give players unique rewards, including a special pet – the Revered Dragonkitty – if you reach Revered status. 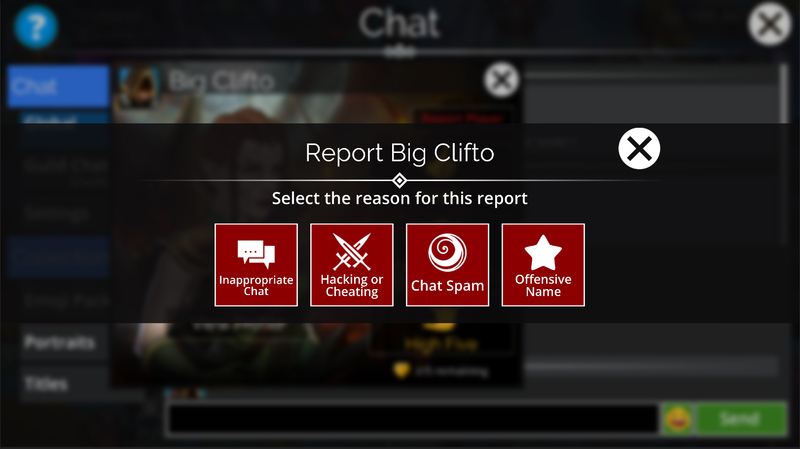 Players can now be reported in-game, saving time sending reports directly to our support channel. 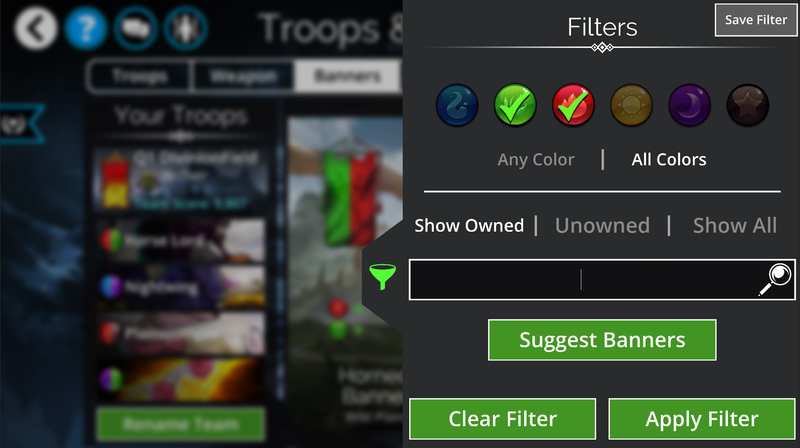 Presently all reports will be manually processed by our support team, so nobody will be auto-banned by the report system. This may change in the future as we gather data, and feel confident to implement automations. There are multiple MVP categories that can be awarded to troops, allowing utility or support troops who perform well to be highlighted too, not only the damage dealing troops. Player’s will always see a troop from their team here, keeping attention on their team rather than their opponent’s team. 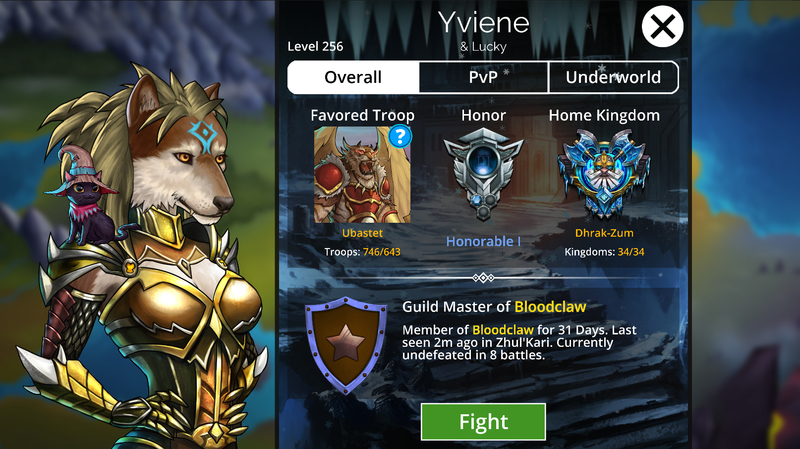 The screen also allows players to take screenshot or share the screen, so players can compare their MVPs with friends or guildmates outside the game. The tribute screen will also display any Honors that have been earned since the last tribute was collected. Blessed Troops will now gain immunity to Transform. 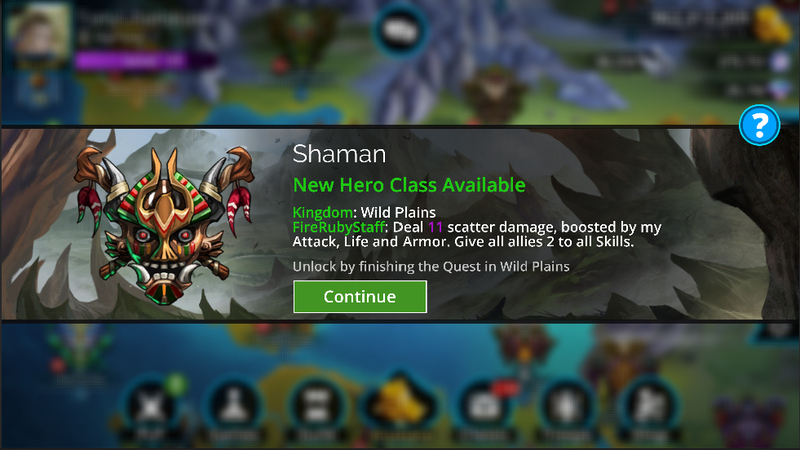 We’ve made changes to Cobra’s Curse so it will create Gems that benefit a wider range of Naga. Spoils of War glory pack now has a limit of 10 purchases per week. Originally, in its first year or two, Glory was rarer and more valuable, thus we could supply a good value pack like this. Currently though, as Glory can be earnt in such large quantities, we’re having to limit this pack to its original intended amount. Delves: Strategies, tactics, tips and more! Sweet. That’s all I need lol. ZG can cast more than once? Is that what that means? Sorry, but it’s not exactly obvious. Quick question - will potions be awarded to players that have bought tiers already this week for Raids? Potions won’t be in the shop for this week’s Raid Boss. 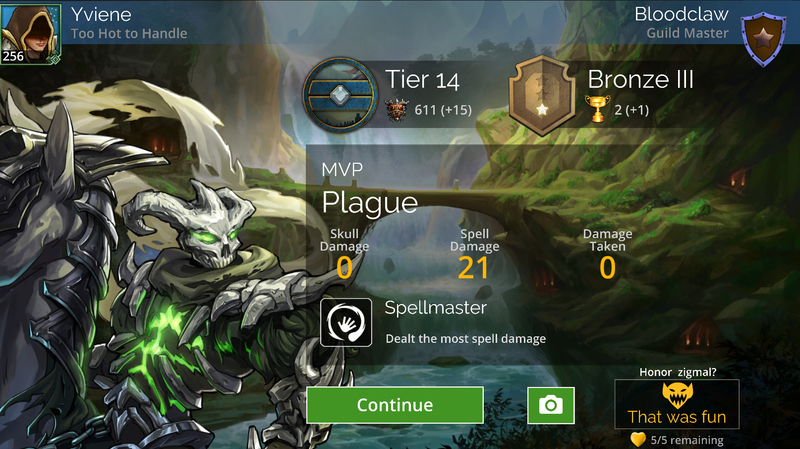 Is the bug with their spell fixed? 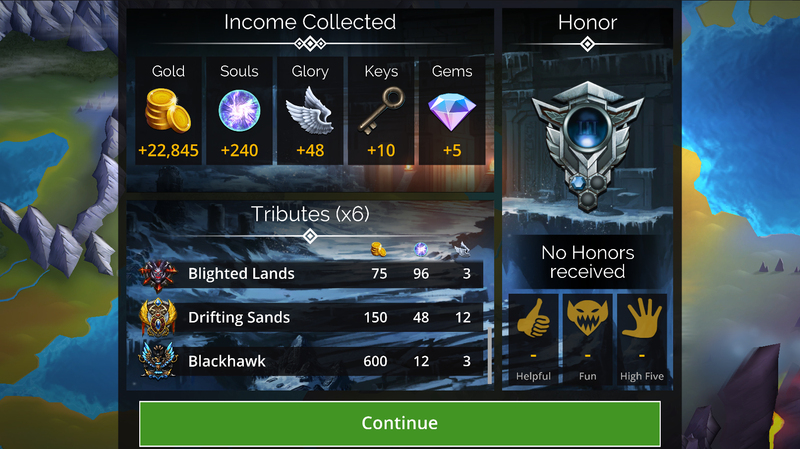 Why do we start with only 2/5 honor? I believe you get 2 a day and can only hold a maximum of 5 if you don’t spend it. Could be wrong though. I rather like the Screenshot Mode and new Tribute display. On Xbox One here, and I go to the shop to see that Spoils of War still displays purchase quantities as “Unlimited.” If I had enough glory, I would certainly test that. Edit: Nvm on the “Unlimited” still showing. Upon restart, it now displays the new limit of ten. Not mad or anything, however there was some miscommunication around this prior to the update. 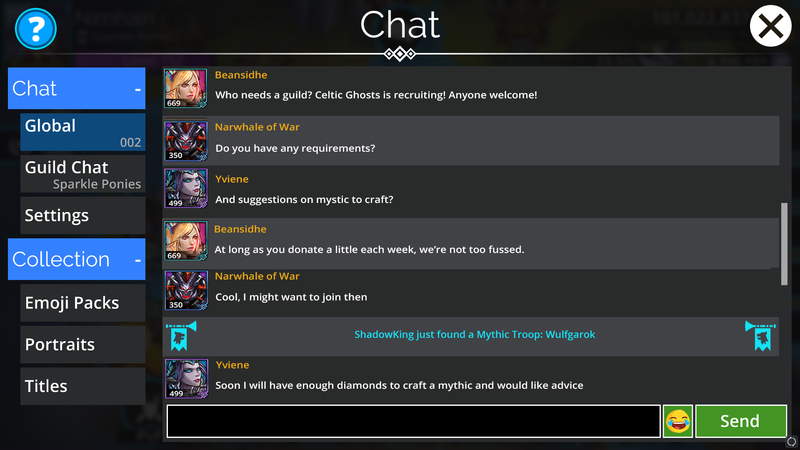 The in-game mail, made infamous by the exploit, said that the chance for Epics, Legendaries and Mythics would in fact receive a slight increase. Edit: I see this has now been modified in the original post! Love the update and all the changes/fixes!!! There are actually several other things that I think would have benefitted from being announced/revealed earlier, as they became sure things for the update, though, as well.